Caitlin Spofford graduated from the University of Texas at Austin with a degree in chemical engineering on December 5th, 2015. 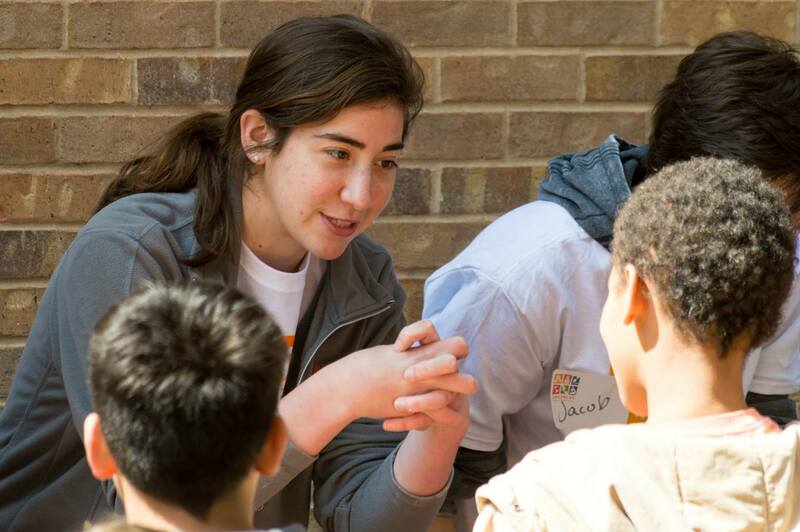 Throughout her undergraduate career, Caitlin has played an active role in many organizations, such as serving as the President of Omega Chi Epsilon (the chemical engineering honor society), playing in UT’s marching band, and working as an undergraduate researcher in Dr. Hal Alper’s lab. Caitlin has made many significant contributions to the Alper lab work over the past several years. She has worked under two different graduate students in the Alper lab, Eric Young and Leqian Liu. While working with Eric, Caitlin investigated methods of improving the xylose transporter in yeast, which is critical to unlocking the microorganism’s potential for efficiently converting biomass (lignocellulose) to fuels and chemicals. The project’s results were published in Proceedings of the National Academy of Sciences on January 2014, which included Caitlin as one of the main authors. Caitlin’s most recent research project was her work with Leqian Liu, which aimed to engineer a strain of yeast that efficiently produced higher levels of lipids compared to wild strains. Lipids are very versatile; they can be combined with various alcohols to produce biodiesels, which are safer alternatives to diesel fuel2, or can be used to produce oleochemicals, which are widely used to produce a variety of household items, such as toothpaste, soap, shampoo, and detergents3. One of the key results in the early stage of the project was the discovery of a link between the rate of riboflavin production and the rate of lipid production in yeast. This critical breakthrough influenced Caitlin’s research and played a primary role in helping her and Liu develop a strain of yeast that produced higher levels of riboflavin. 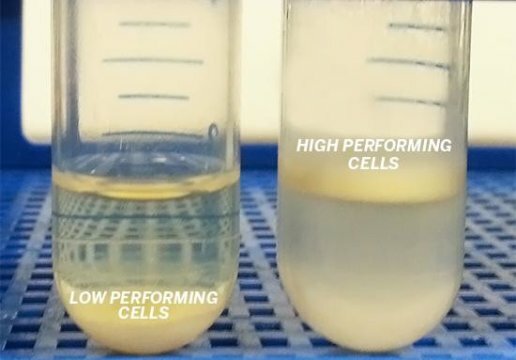 Alper Lab Research: Yeast cells with high lipid production float to the top of the solution, while the others sink to the bottom. By selecting for the most effective organisms, the lab created a strain that produced produced a large amount of biofuels. Caitlin and Leqian’s work was published in Metabolic Engineering in March 2015. After the publication, Caitlin has left the Alper lab in order to pursue other interests. Caitlin considers a career in research, but for the time being she is actively seeking industry experience. When asked to reflect upon her research experience, Caitlin states that it was definitely the most valuable opportunity of her undergraduate career. Caitlin recommends research to anyone looking to experience something new, fascinating, and rewarding. She believes that being proactive, patient, and creative are some of the most important qualities of a future researcher. She recommends rotating in a several labs for a couple of months each, which will allows students to make a more informed decision about what lab to dedicate significant time to. “Alper Lab Research.” Alper Lab Research. N.p., n.d. Web. 02 Dec. 2015. Tai, Mitchell, and Gregory Stephanopoulos. “Engineering the Push and Pull of Lipid Biosynthesis in Oleaginous Yeast Yarrowia Lipolytica for Biofuel Production.” Metabolic Engineering 15 (2013): 1-9. Web. Revellame, Emmanuel D., Rafael Hernandez, William French, William E. Holmes, Tracy J. Benson, Patrisha J. Pham, Allison Forks, and Robert Callahan Ii. “Lipid Storage Compounds in Raw Activated Sludge Microorganisms for Biofuels and Oleochemicals Production.” RSC Advances RSC Adv. 2.5 (2012): 2015. Web.